These are the four 2017 Hyundais with all wheel drive – AWD on sale in the U.S. market. Most people who shop for a new vehicle have a very specific set of requirements in place, with everything from the look of the car to the standard features influencing their decision. For those people that live in areas where the weather can create some tricky road conditions, an all-wheel drive set-up is also something that is deemed to be very important. If you are currently thinking about going with a Hyundai as your next vehicle, and you want a model with AWD, the good news is that you have some options available to you. Let’s take a quick look at the 2017 Hyundai models with AWD. Hyundai Genesis G80 – The Genesis has helped Hyundai make a mark in the luxury market, so much so that a new sub-brand with the Genesis name was created. The Genesis G80 takes luxury to the next level, thanks in large part to an amazing collection of standard safety and convenience features that are among the best in its class. The 2017 Genesis G80 AWD system, which is known as HTRAC, is as sophisticated as it comes, and has helped put this vehicle in high demand in parts of the country that frequently see snow. 2017 Genesis G90 – Yet another entry from the Genesis luxury sub-brand, the G90 serves as the flagship sedan. The fact that it is stunning to look at is a major selling point on its own, but a host of active safety and convenience features help make this one a must have. This 2017 Genesis G90 AWD is the same as that found in the G80, although this model is a step above what that great vehicle offers. 2017 Hyundai Santa Fe SUV – Those looking for something a little more adventurous, yet no less stylish, than the Hyundai luxury models would do well to take a look at the Santa Fe 7-passenger SUV. This model has a ton of space for both passengers and cargo, and the 2017 Hyundai Santa Fe AWD ensures that this vehicle can takes roads than lesser crossovers simply can’t handle. Check the trim levels when looking at this one, as some come with FWD only. 2017 Hyundai Tucson crossover vehicle – Much like the Santa Fe, the Tucson crossover offers front-wheel-drive and all-wheel-drive depending on the trim level. 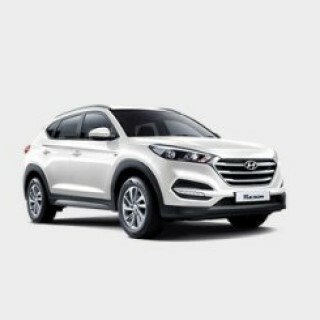 While the Tucson is the smallest SUV offered by Hyundai in the United States, it still delivers a ton of interior space. This is a vehicle that also comes with great fuel economy without giving up on power and performance. This is a great compact vehicle to go exploring with, especially when you choose the available 2017 Tucson AWD trim levels.